The MORF Season Starts on May 19th! The season’s first race is less than two weeks away! Click here to join MORF if you haven’t already signed up – you then just need to show up at the start line of the MORF buoy races. If you are able to help serve as Race Committee please check out the season openings by clicking here. 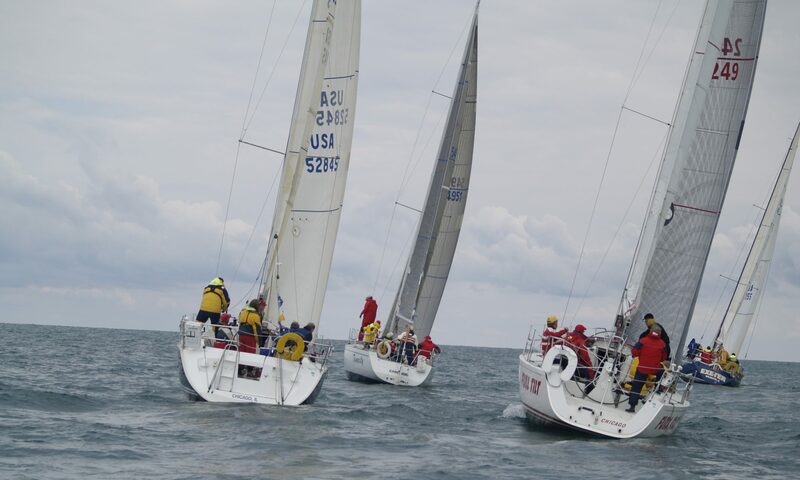 The MORF Spring meeting will be held Saturday evening April 14 at Columbia Yacht Club. Please save the date. Rich Stearns from J-boats is lined up to give us a talk and Dennis Bartley will review leeward gates since we’ve added those to the sprint (S) courses. The details and menu wil be forth-coming. The MORF new crew meet-up at the Weathermark Tavern on the Ides of March went well. About three dozen people were there including several new crew candidates. A good, and relatively well lubricated, time was had by all. Damned it’s nice to see the fleet and talk about sailing and racing again. Lori Tubbs, MORF crew captain, is planning more such events in the coming months. Signups to the fleet continue apace. Tom Dickenson is back with Club Lunasea. Several new boats have joined: Tony Halwith will be racing in Escorpión Borracho (the drunken scorpion), a vintage Jam racer, Bob Smetters is joining with Ohana, his brand new, not quite delivered Dehler 34, and Kasey Iwasyk is in with Success!, his Wylie 39. A couple more new boats are still in discussions with us. Welcome to the new members. For those of you who haven’t paid yet – it’s time. Paypal now works well for many members of the fleet. Also remember to bring, mail, or email your signed application in – visit: http://morfracing.net/wpmocha/join-morf to join up now online. The sign-up schedule for race committee is still more empty than full. Most of the board members are holding back to leave dates open for you. Sign up! You can do this on the web; the link is at the bottom of the home page of the website.